Centre to Centre928mm / 36.54"
Valve Pipe Centres751mm / 29.57"
Wall to Centre Tapping105mm / 4.13"
Loft 3 Contemporary Radiator: 978mm x 700mm available in Chrome, Gold, Nickel, and Coloured powder coat to suit with 3 fuel types; standard Water, Electric, or a Duel Fuel combination. 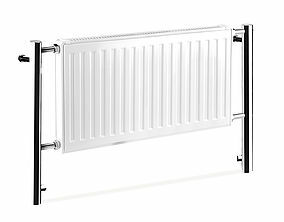 The Loft radiator is a simple design combined with a flat panel convector radiator, supported either side by 2 floor and wall mounted round legs. 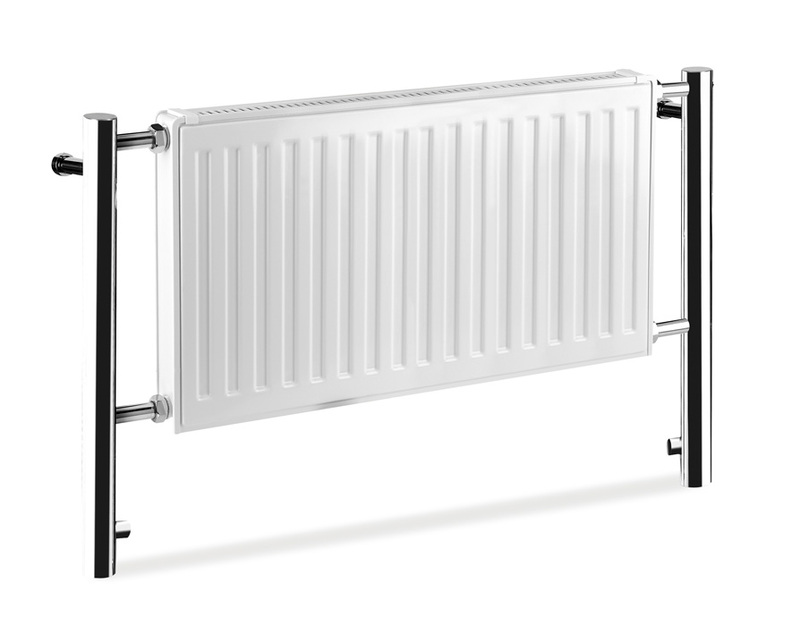 The Loft radiator is suitable for any room setting requiring a high heat output. 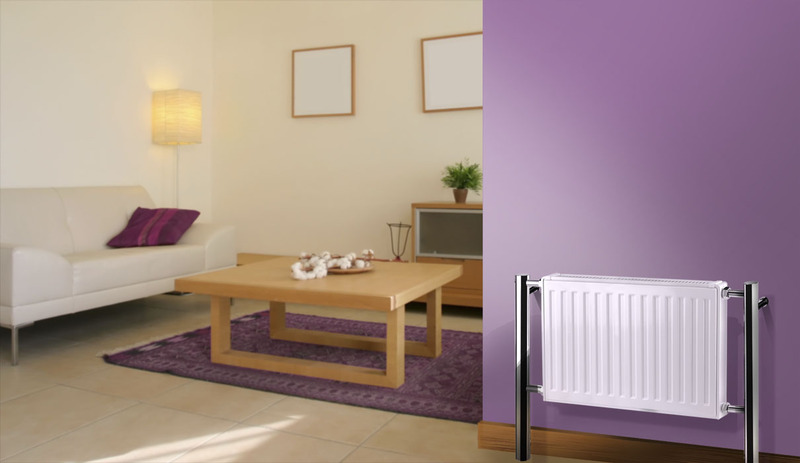 For larger models view the rest of our Loft contemporary radiators range. Why is this such a good product you ask? Well it is handmade in Britain from the highest grade brass available and braised with solid silver for a quality polished finish. Is it likely to rust? Our products are made from dezincification Brass, unlike cheaper alternatives they are highly resistant to corrosion and will give you years of care free use with no sign of rusting. 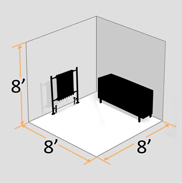 We are that confident in our product that we are offering a 5 year guarantee!